Saucony's popular Kinvara just got better. Works very well as a speed shoe for mid and long distance runs. Negatives are the forefoot flexbility, which could have been better, and outsole durability, which is still untested from a long term usage standpoint. Mid 2000’s ushered in the era of minimalist shoes into mainstream, mostly led by the Vibram Five Fingers and the Nike Free. This is not say that minimalist running shoes did not exist at the time; distance runners and race day participants would slip into firm, ultra-flimsy and lightweight racing flats which would just about go the distance and self destruct. So what was needed was a bridge between a traditional running shoe and a racing flat, and thus a new category was born. Lightweight, breathable, yet durable. Low heel to toe drop, yet relatively well cushioned for regular concrete pounding. Shoes, which would, as a general tendency, lean towards midfoot strike in absence of a bulky heel. This new dawn of lightweight substitutes spawned an Armada of new models and variants from different shoe brands, each bringing their own interpretation of what should go into making of minimalist running footwear. Brooks just got in last year with their ‘Pure’ series of shoes, Adidas with its Adipure, and Nike introduced a solid line-up of Free variants. Asics hasn’t boarded the bus yet, but going by the looks of it (series 33, slimming down of its signature models), they should soon, in one form or another. 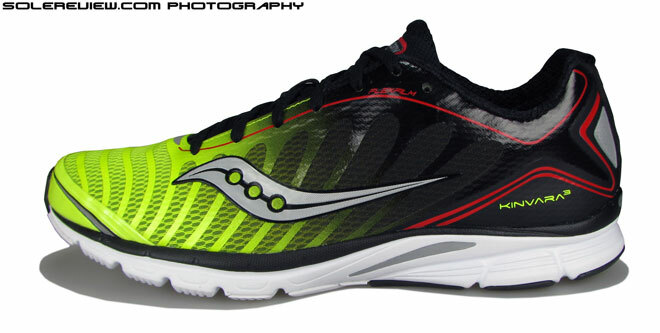 Saucony entered the minimal running shoe scene with the Kinvara in summer 2010 – and in late summer this year, they released the third update to their now popular model. While Saucony has touted the Kinvara to be a ‘natural motion’ running shoe, there are a couple of things we’d like to clear up upfront. One, the Kinvara is not to be confused with zero drop shoes like the Vibram Five Fingers, or even with the 4mm drop Nike Free 3.0 v4. The Kinvara is, simply put, a lightweight running shoe which promotes a midfoot strike and a higher degree of Plantar Flexion (angle between the front of the foot and the shin), working out the upper Achilles tendon in the process. 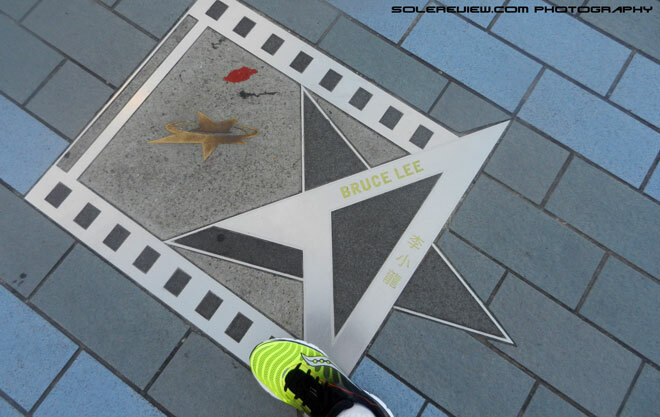 And the forefoot is relatively rigid, so it won’t work your undersole muscles as much the Five Finger or the Free 3.0 might do. There have been shoes comparable to the Kinvara in the past; take the 2010-2011 Nike Elite for example. Had a similar feel to the Kinvara, except it was crunched in the forefoot and had a little firmer ride. Those shortcomings, combined with the conspicuous lack of marketing effort made sure that it did not present a competitive threat to the Kinvara’s growing popularity. 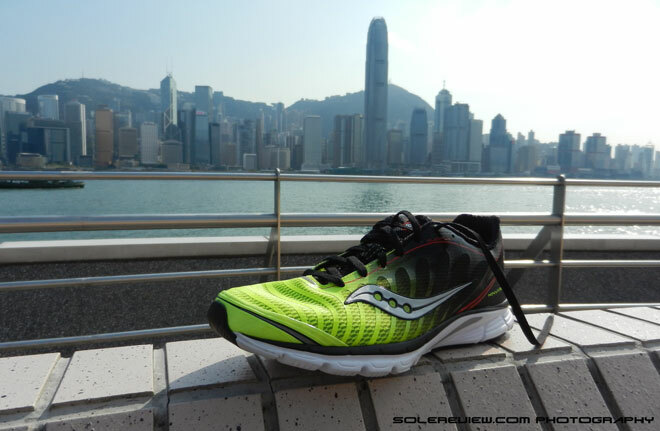 With the Kinvara 3, Saucony has been wise in retaining the fundamental goodness (ventilation, cushioning, upper fit, low drop) which made versions 1 and 2 a huge success, and have actually improved upon in a lot of areas. One major shift is the upper construction. While the 1 and 2 had a near identical upper construction of thin air mesh layer+support inlays sandwiched inside+spacer mesh lining, the Kinvara 3 has redesigned the configuration to introduce a brand new upper construction, which even goes as far as changing how the shoes are laced. 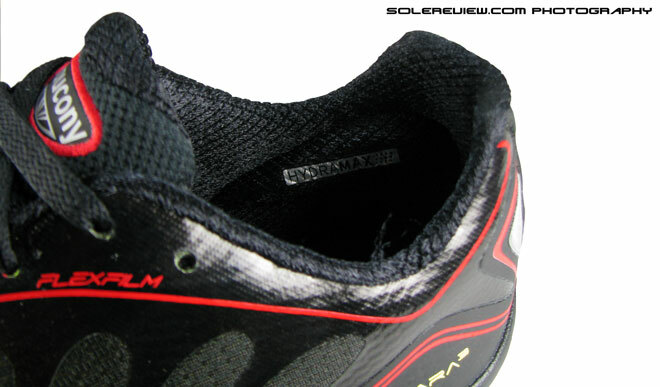 The biggest update has been the use of the new upper material which Saucony calls the ‘Flexfilm’. This new laminate replaces the layered upper combination of the Kinvara 2 with a thin, urethane film which is electronically welded on to a thin mesh. The fused material is spread across the entire surface of the upper, in wave like extensions which leave more than ample space for ventilation while giving effective structural support to the upper. This is evident in the way how the new upper retains its shape even without a shoe tree or paper stuffing inside. 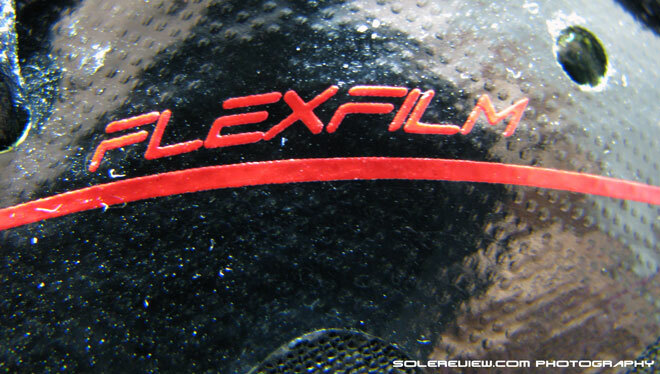 The running experience charms as well; you barely feel the material welded on the mesh, and that means that the Flexfilm behaves exactly the way it should! The spacer mesh layered tongue carries over the gusseted design; a stretchable lining sleeve which starts from the midfoot and extends right upto the tip of the shoe. This results in the familiar sock like feel which runners had come to love in the previous Kinvara version, with no sacrifice in ventilation – in fact we feel that the breathability has improved on the Kinvara 3. 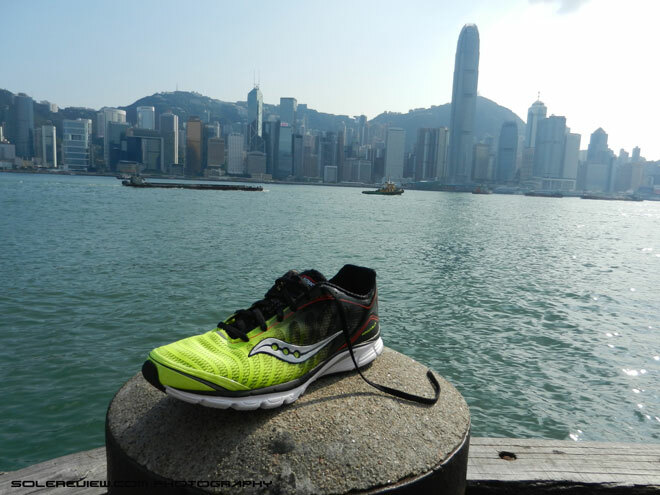 One of the places we tested the K3 was in hot, humid Hong Kong, pounding a warmed up granite pavement; the shoe passed the heat dissipation test with flying colors. The foot stayed cool, and did not retain moisture even with cotton socks on. The heel collar and tongue lining has the moisture wicking ‘Hydramax’ fabric, overlaid over memory foam pods which make the heel fit snug, yet comfortable. 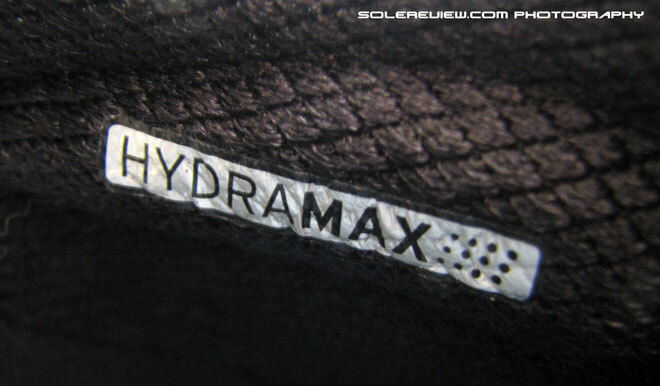 The Kinvara 1 and 2 called the same heel lining the ‘Hydrator’ – which seemed a little off from a nomenclature standpoint, so the renamed’Hydramax’ is a cliched (Coolmax, Drymax? ), yet better sounding name for the fabric lining. 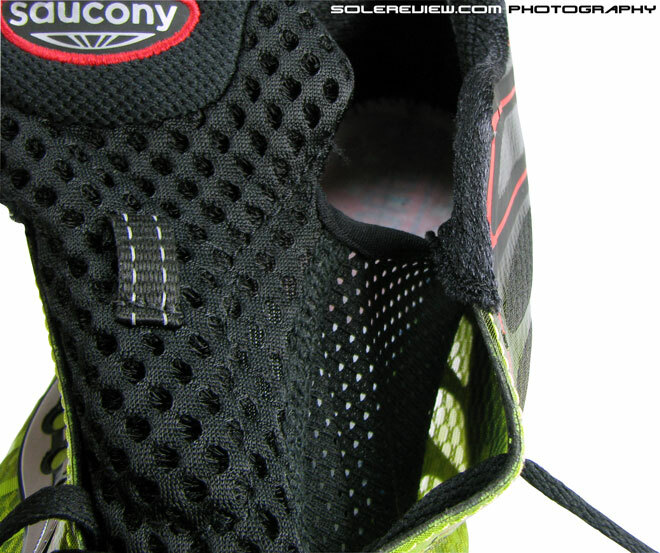 If you’d like us to nitpick on the new ‘Flexfilm’ construction, we’d say that this new way of making the upper loses some of the plushness (relatively speaking) of the tri-layered mesh upper of the Kinvara 3. That said, the overall pluses weigh heavy – we also felt that post the process of eliminating extra layers of materials, the forefoot now feels roomier than the K2. The lacing system has been overhauled completely in the K3, with the loop based speed lacing system of the K1+K2 being phased out and replaced by traditional eyelet lacing. We prefer this change – now the lacing area spreads out wider instead of being centered in the middle, easing off top down pressure. And it also helps cinching the sides together more effectively for consistent midfoot lockdown. 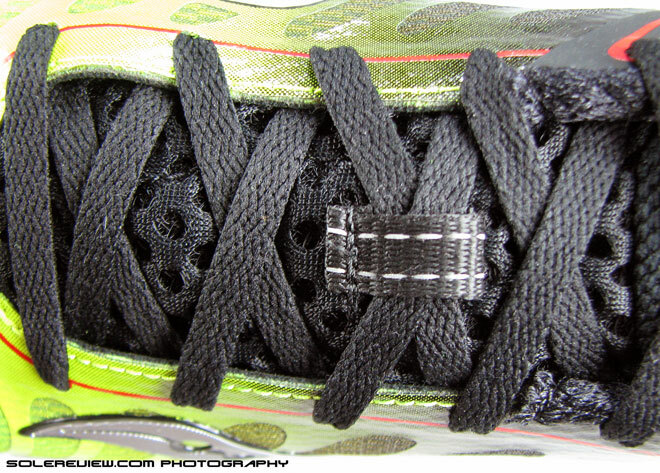 However, our wishlist would be an off-center lacing system on the Kinvara 14 in 2013. The Kinvara series has become a favorite with distance runners, so any feature which alleviates unnecessary pressure on the foot helps, regardless of the degree of intensity. Moving over to the heel area, we noted that the counter overlay in the Kinvara 3 is a electronically welded type of a rubbery texture, replacing the traditional stitched-on synthetic leather type on the Kinvara 2. This makes you feel the heel counter of the Kinvara 3 is lacking in support, but the designers have inserted an internal heat molded heel counter which wraps around the foot, its tip aligning with the center of the heel. You can feel it when you try to fold the sides of the heel inside. This is not a full heel counter, but just enough to support and keep the foot in place. This ingenious design has contributed in keeping the weight down too. Reflective elements get bigger in the heel area with two triangular fused on panels – the front remains the same, with shiny bits on the tip of the toe, and in the area where the laces begin. 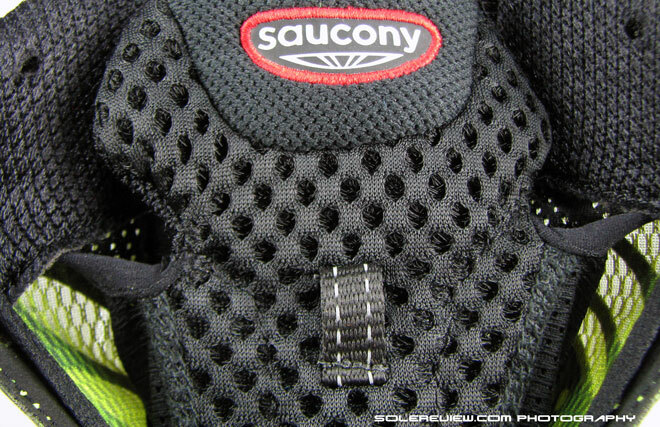 Side reflectivity comes from an insert in the midsole just below the rear tip of the molded Saucony logo on the side. Base of the upper keeps the similar sockliner design when compared to the Kinvara 2. 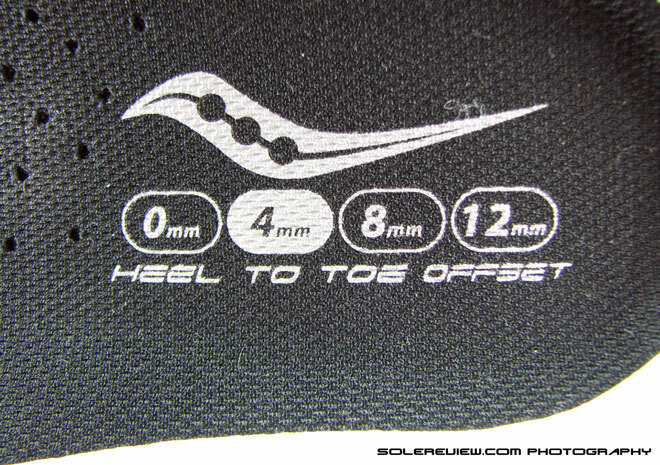 Has a polyester top fabric layer over a foam base with perforations in the midfoot and forefoot – the surface has the heel to toe drop markings called out on the surface (same as K2). 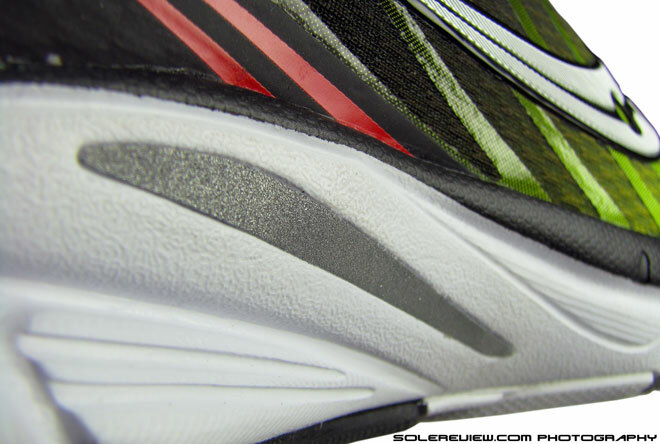 The sole of the Kinvara 3 is refreshed with some updates, but during runs these changes are barely noticeable. 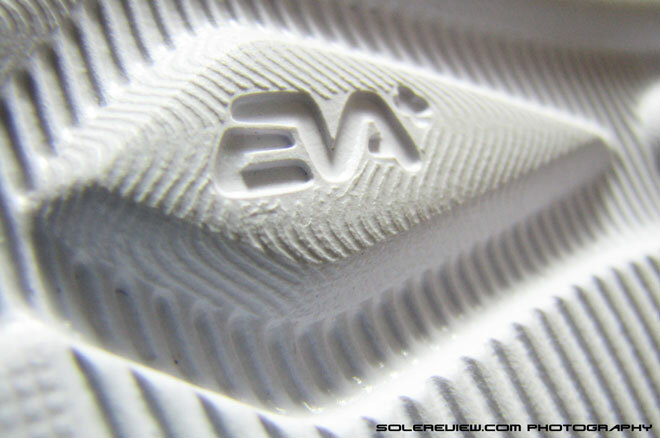 The midsole is made of injected EVA+, and still lacks the forefoot flexibility which was also noticeable in the earlier Kinvara’s. The level of flexibility would be acceptable if Saucony had positioned the Kinvara as a regular running shoe, but in light of the ‘natural motion’ claims, a wee bit more of forefoot bending would help to support that claim. Other than that, the midsole is well cushioned for a minimal shoe, has a great forefoot plant – a useful feature to have as this shoe promotes midfoot strike. 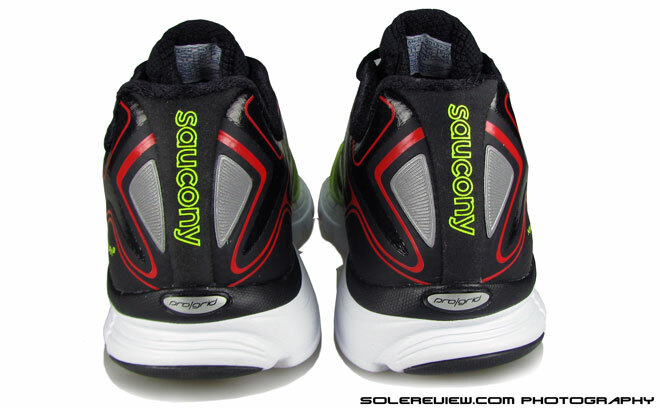 Saucony has replaced the ‘Progrid lite’ callout in the heel area with simply ‘Progrid’. 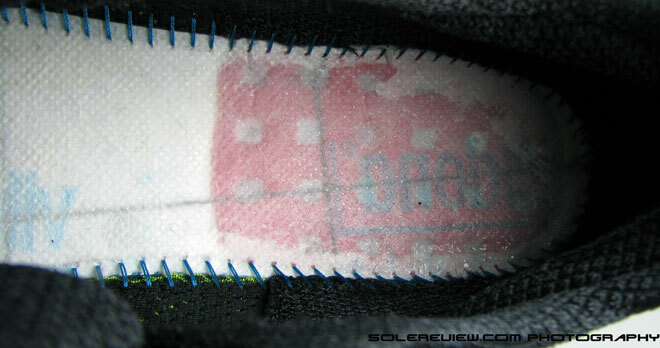 Removal of the sockliner led to the progrid unit being visible under the cloth insole – the Progrid used in the Kinvara 3 is a trampoline shaped urethane piece which sits on the top of the midsole in the heel section. It is also stitched to the sides, so the idea is the trampoline will cradle the ball of the heel on impact, absorbing landing forces. Sounds right in theory, but in reality, two things work against that. If the Kinvara claims to promote midfoot strike, how much of the Progrid will be utlilized? 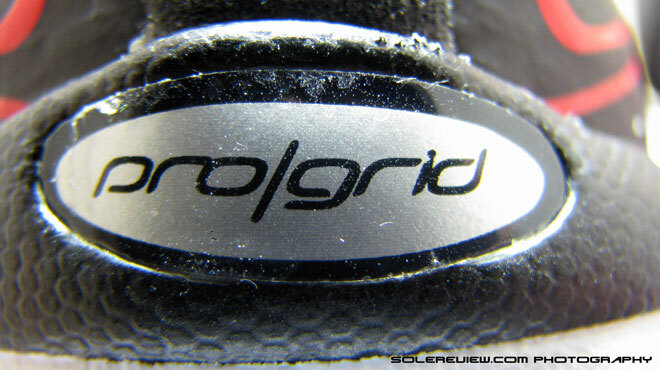 Second, the Progrid unit sits on a rather firm midsole platform – so we question its efficacy, unless there is an independent Progrid cassette nested inside. 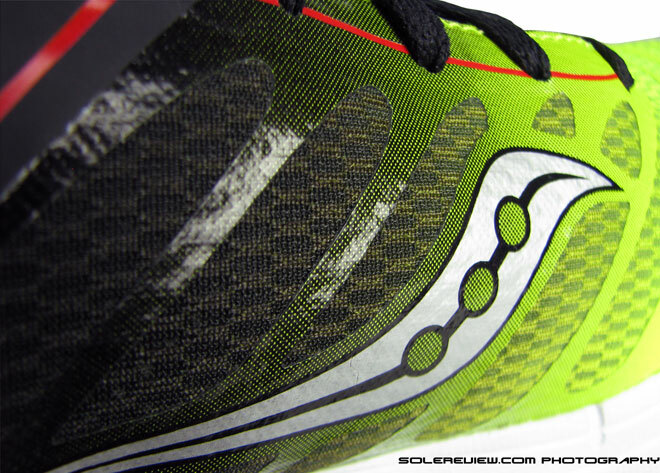 We don’t know for sure yet, so we will cut open the Kinvara midsole in the next few weeks to find the answer. 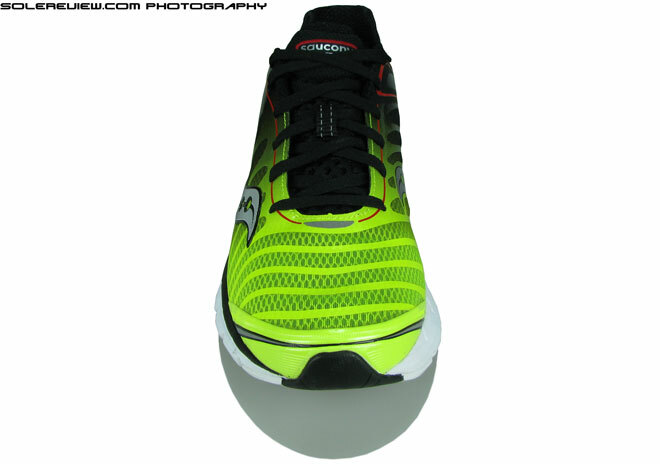 The Kinvara 3 moves around the outsole rubber pieces around as part of the design refresh. 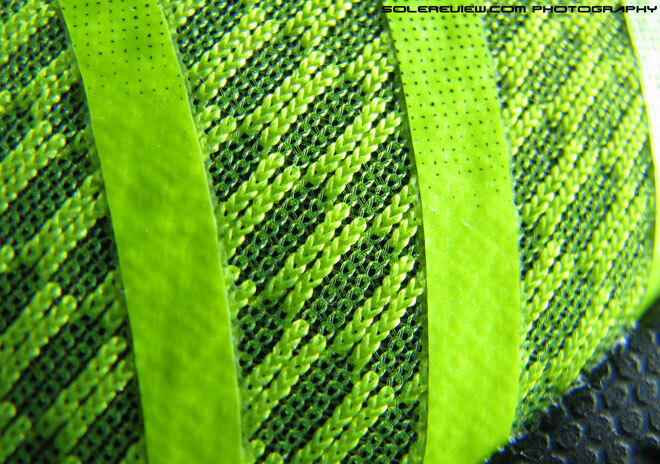 The rubber on the inner edge of the outsole disappears, and instead re-locates to the outer midfoot area. 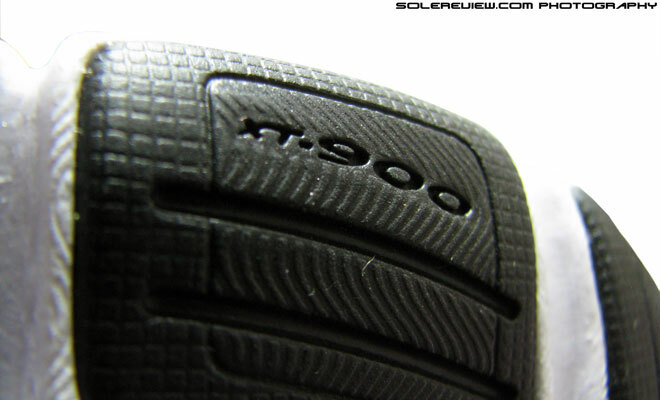 The new heel design is more rounded at the edge and is separated from the main unit by a series of flex grooves; allowing for better transition. Durability is definitely an issue – after just 20k on the shoes, we found the triangular forefoot lugs showing signs of pre-mature wear. 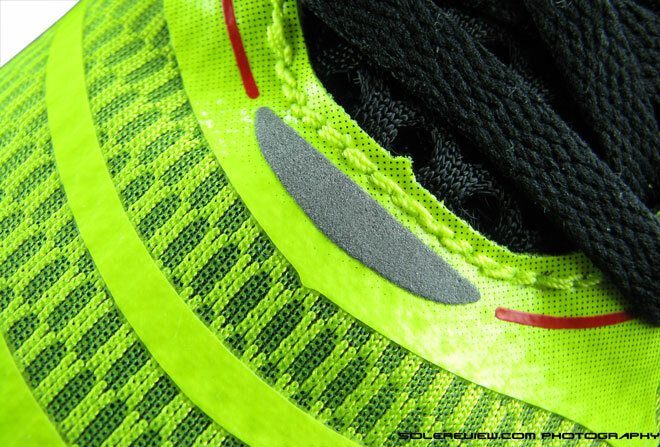 And the newly vacated space on the inner heel area needs to be kept an eye on; the lack of rubber has the potential to accelerate midsole foam abrasion. Our first few runs on the Kinvara have been very enjoyable. The upper feels and fits great, ventilation is top notch, and even after running on some really hard surfaces, the Kinvara 3 feels cushioned enough. The new aesthetics is one of our favorites updates on the Kinvara 3 – the Citron green sublimating into black, and then finally topped off with TRON-ish red lines in the heel. Saucony has a winner here, and the newest version should comfortably outsell the previous Kinvaras, the $10 price increase notwithstanding. We highly recommend the Kinvara 3 to any runner who is in the market for a lightweight shoe which is meant to do it all – from conditioning runs to competitive long distance. 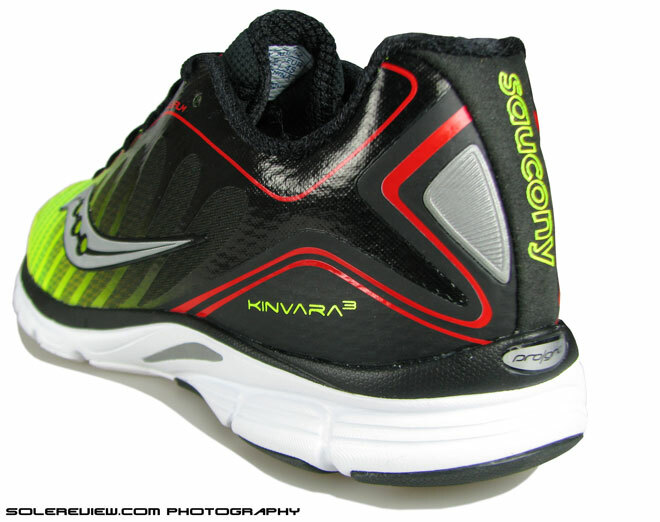 We have been in the Kinvara 3’s for a while now, and it is amazing how well cushioned it is for a minimalist shoe. Long miles come easy on the K3, thanks to its lightweight, well ventilated construction, and the roomy upper.